The Renli RL1500 2 seat and 4 seat offer a unique blend of Off-Road and On-Road driving experiences. With selectable 4 wheel drive, locking differentials, Elka Suspension, EFX Performance Tires and MSA Wheels, the Renli a is formidable Off-Road & On-Road machine. Starting at $13,999, Renli is a great option for a mult-use side by side. All machines are fully assembled, initial break in completed, tuned, ready to run and factory filled with Amsoil when you take delivery. 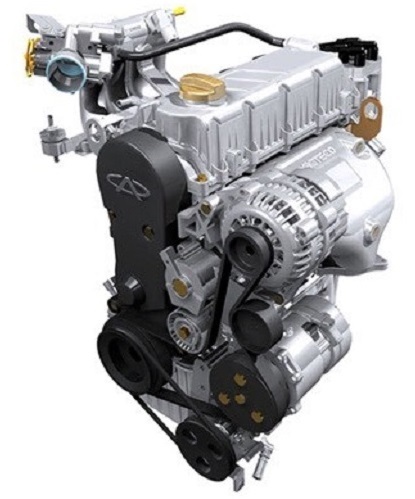 The Chery 1.5 Liter inline 4 cylinder is is a 16 Valve, SOHC (Single Overhead Cam) that is designed for quick HP and lots of torque. This is a natuarally aspirated engine that is throttled by a Bosch EFI (Electronic Fuel Injection) and controlled by a Siemens ECU. At 108 Horsepower and 103 ft/lbs of torque, the Renli RL1500 provides superior off-road performance while easily handling any on-road driving as well.